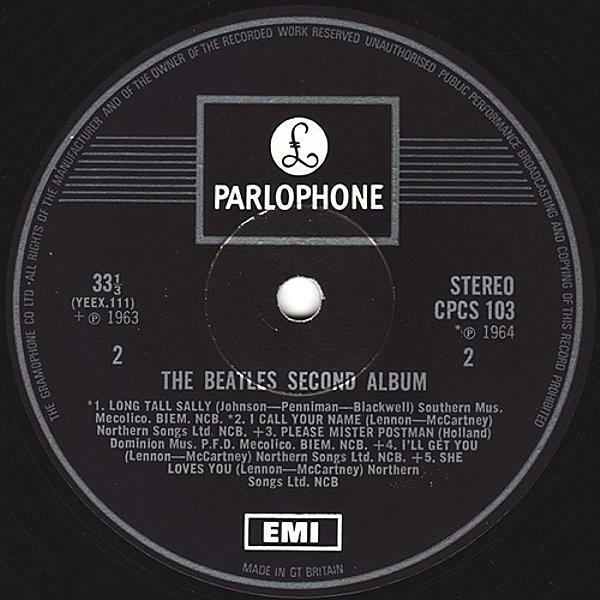 The Beatles Collection » The Beatles’ Second Album, Parlophone CPCS 103. 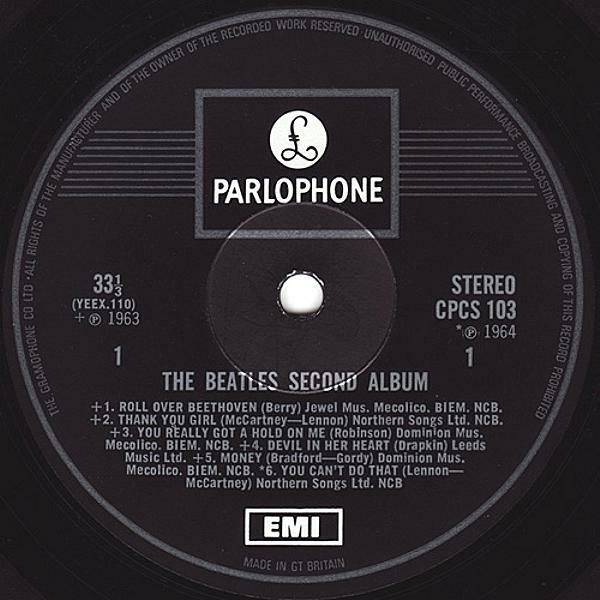 The Beatles’ Second Album, Parlophone CPCS 103. 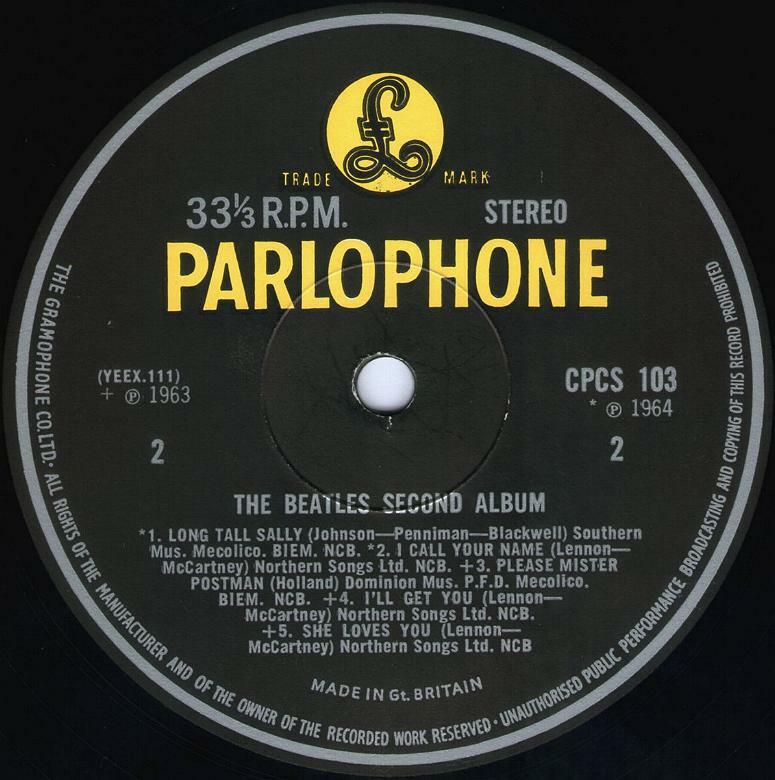 Release 1965. 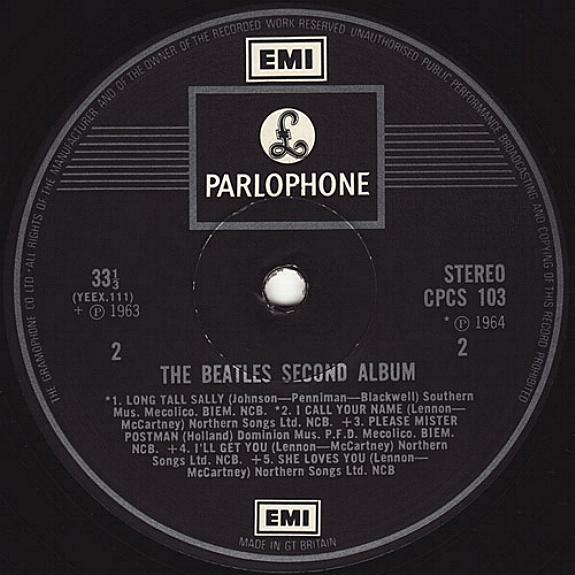 This English version of “The Beatles’ Second Album” has the same track list as the American version. 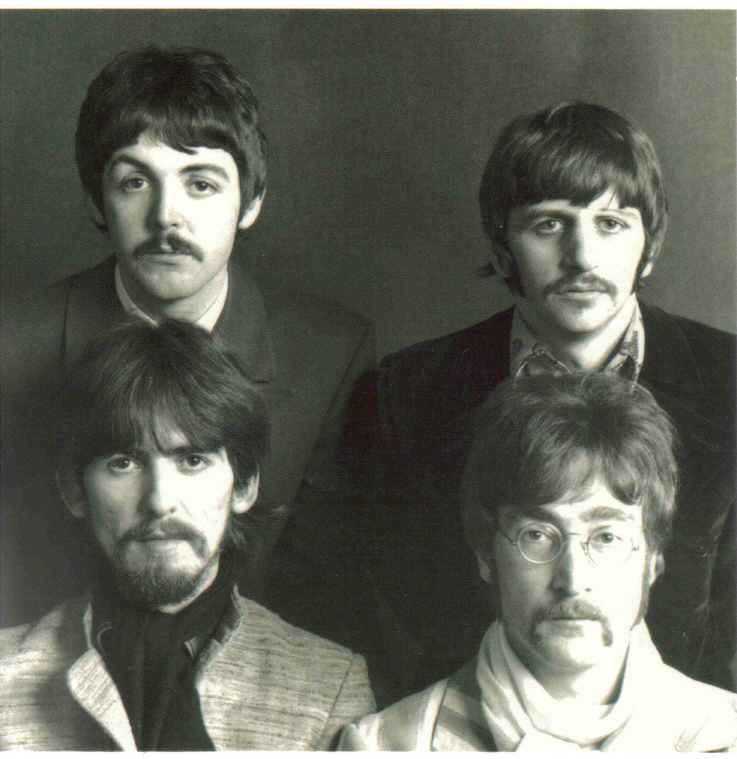 But the stereo track of the “Thank You Girl” officially published in England on the album “Past Masters Vol. 1”, in 1988. Garrod & Lofthouse Ltd. front laminated flipback sleeve, small “stereo” on front. 1. 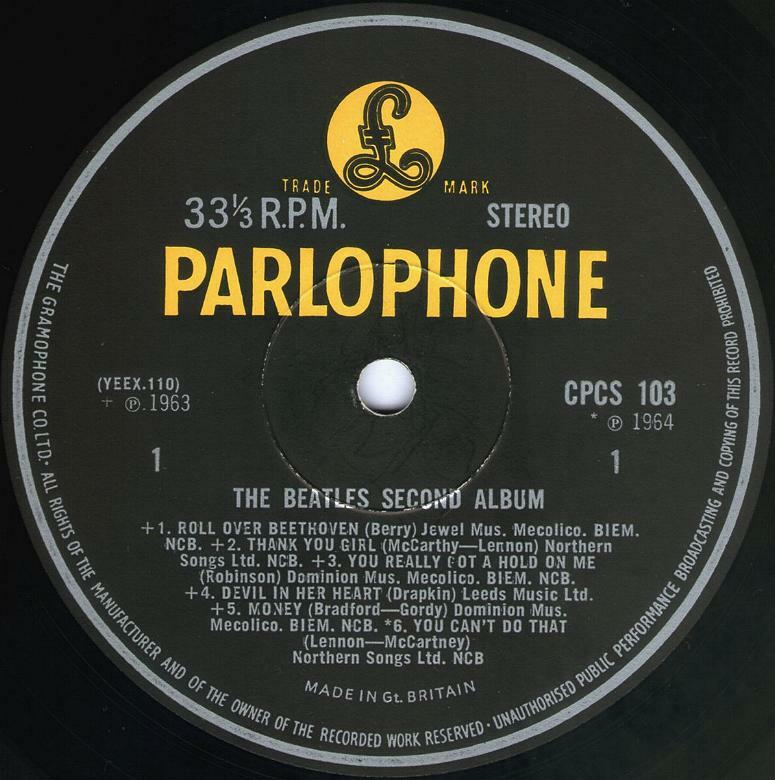 First pressing, 1965. 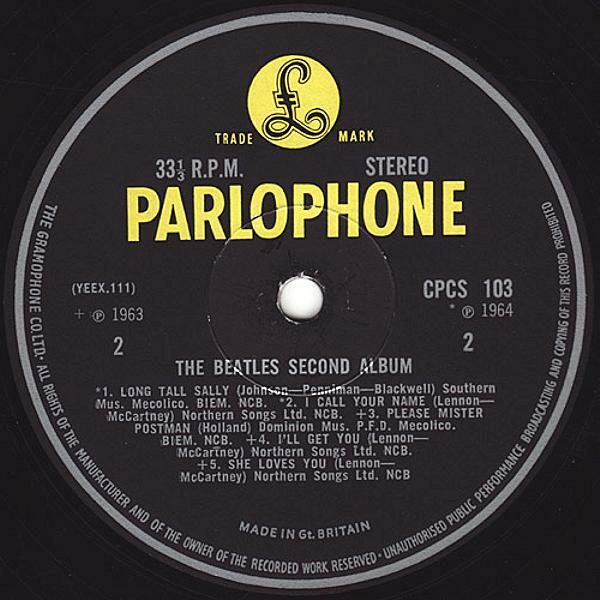 Black & Yellow Parlophone label with “The Gramophone Co. Ltd.” perimeter print. Tracing-paper-lined “Use Emitex” die-cut inner sleeve. Matrix numbers: Side 1: YEEX 110-A9; Side 2: YEEX 111-A9. Variation 1. 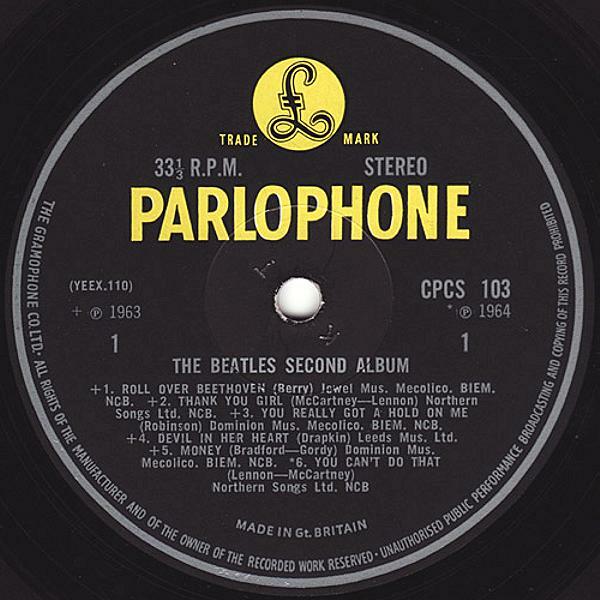 Misspelled credit as “McCarthy-Lennon” after “Thank You Girl” on the side 1. Variation 2. 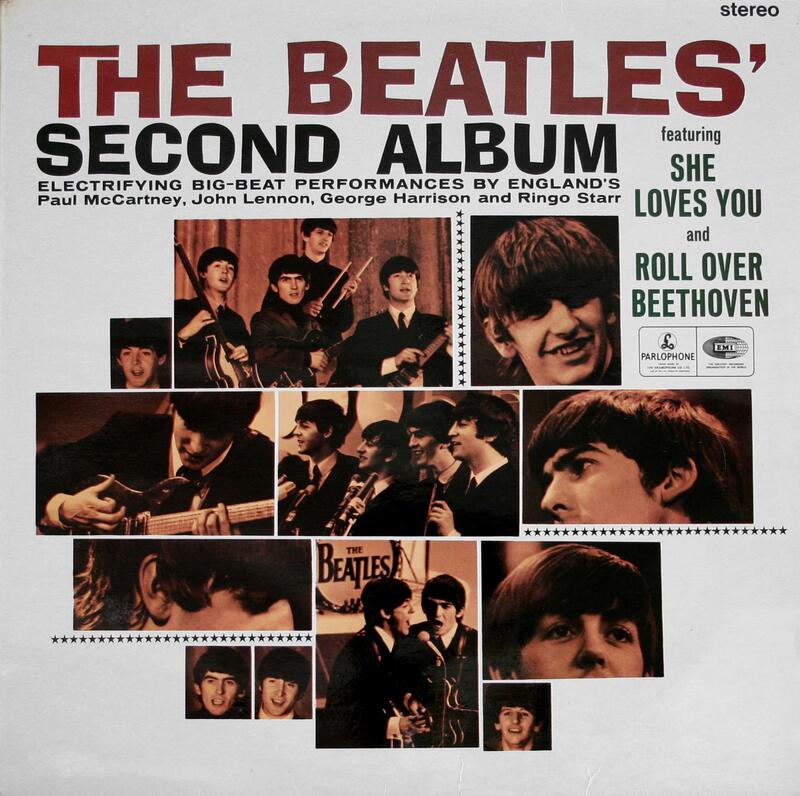 With correct credit as “McCartney-Lennon” after “Thank You Girl” on the side 1. 2. 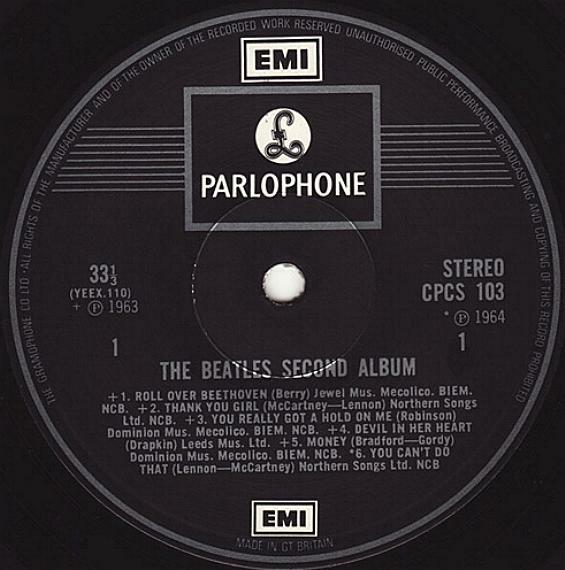 Second pressing, November 1969 until 1970. Black label with one silver EMI logo and silver print. “The Gramophone Co Ltd…” printed at the start perimeter print and “Made In GT. Britain” lower text. Sepia, black & white LP advertising or white paper “Patent…” inner sleeves. Matrix numbers: Side 1: YEEX 110-A9; Side 2: YEEX 111-A9. 3. 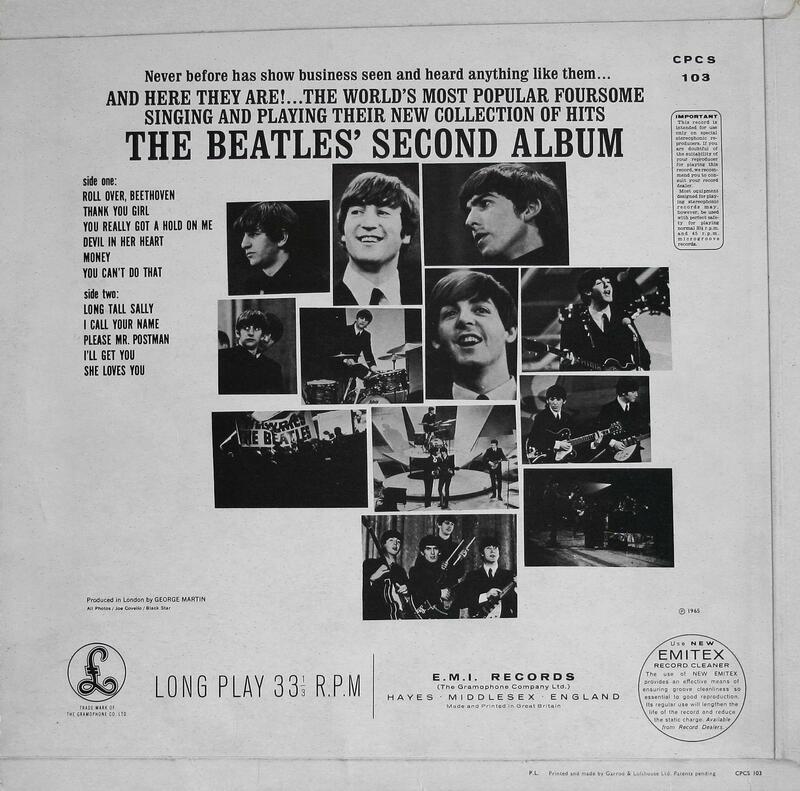 Third pressing, late 1970 – early 1971. Black label with two silver EMI logos and silver print. “The Gramophone Co Ltd…” printed at the start perimeter print and “MADE IN GT. BRITAIN” lower text. White paper “Patent…” inner sleeves. Matrix numbers: Side 1: YEEX 110-A9; Side 2: YEEX 111-A9.